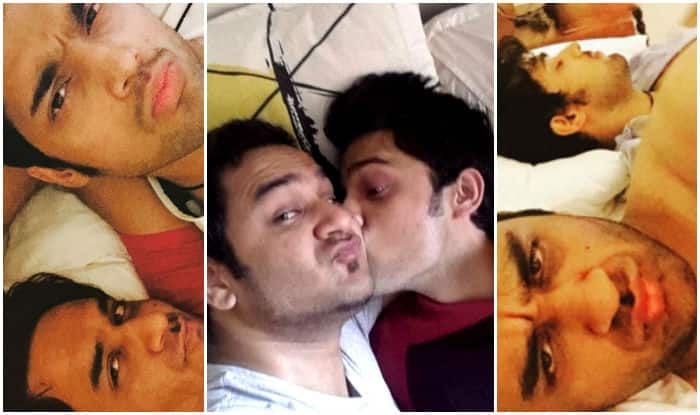 The controversy related to Parth Samthaan and his alleged link-up with Gaurav aka Gauri Arora seems to have gone to the next level with Subhash Singh, the Producer of Parth’s upcoming film, claiming that his hero is indeed innocent, and that he has never met Gaurav (now Gauri), especially in Goa. Now, Tellychakkar.com has got yet another interesting lead-up which actually might validate the fact that Parth was in Goa at the time when Splitsvilla was being filmed. And this could also mean that Parth and Gaurav did meet each other in the beautiful locales. In order to dig up more information, we called a popular Splitsvillain Paras Chhabra, who came up with some startling facts on the issue. Paras and Gaurav were in Splitsvilla in the same season (8). explained about the closeness that Parth shared with Gaurav. Wow!! Here is a picture of Vikas and Parth taken in Goa during the filming of Splitsvilla, which suggests the fact that Parth did make it to Goa to meet Vikas on a personal level. And this also asserts that Parth indeed met Gaurav aka Gauri at the same place. Take a look at the picture, folks!! We made an attempt to connect with Vikas, Parth and Gaurav (now Gauri) but did not get any comment till the time of filing the article. Some stunning revelations here... We wonder what will crop up next in this controversy. Keep reading Tellychakkar.com.